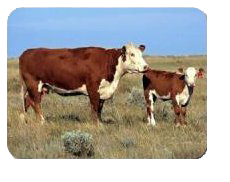 The Bovine Genome Database supports the efforts of bovine genomics researchers by providing data mining, genome navigation and annotation tools for the bovine reference genome based on the hereford cow, L1 Dominette 01449. BGD provides tools for data mining (BovineMine), sequence database searching (BLAST), genome browsing (JBrowse) and annotation (Apollo). The bovine reference genome assembly has been revised several times. The newest release of BovineMine (BovineMine v1.5) includes both the ARS-UCD1.2 and UMD3.1 genome assemblies, and BovineMine v1.4 with only UMD3.1 is still available. JBrowse is also available for both ARS-UCD1.2 and UMD3.1. BovineMine integrates the genome assemblies with a variety of data sources, including genes, proteins, orthologs, pathways, gene ontology, gene expression, interactions, variants, QTL and publications. The goal of BovineMine is to accelerate genomics analysis by enabling researchers without scripting skills to create and export customized annotation datasets merged with their own research data for use in downstream analyses. BovineMine allows researchers to leverage the curated gene pathways of model organisms (e.g. human, mouse and rat) based on orthology, and is especially useful for GO and pathway analyses in conjunction with GWAS and QTL studies. BovineMine also includes reference genomes of sheep and goat so researchers can leverage information across ruminants. The published chapter will be freely available in May 2019. In the meantime, a free preprint is available here. The BovineMine tutorial in this chapter uses BovineMine v1.3. Elsik CG, Unni DR, Diesh CM, Tayal A, Emery ML, Nguyen HN, Hagen DE. Bovine Genome Database: new tools for gleaning function from the Bos taurus genome. Nucleic Acids Res. 2016 Jan 4;44(D1):D834-9. doi: 10.1093/nar/gkv1077. Epub 2015 Oct 19. PubMed PMID: 26481361. The Bovine Genome Database is supported by the European Union's Seventh Framework Programme for research, technological development and demonstration under grant agreement no. 613689, and has been supported by grants 2007-35616-17882 and 2010-65205-20407 from the USDA National Institute of Food and Agriculture. BGD is hosted at the University of Missouri. If you have comments or if you wish to report a problem, please contact the Bovine Genome Database Administrator. Photos courtesy of USDA NRSC and Mike MacNeil, USDA/ARS Fort Keogh LARRL.